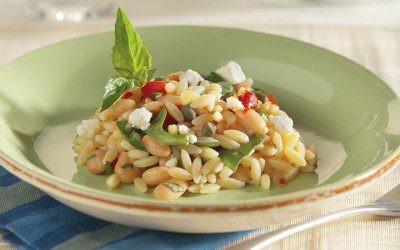 Combine beans, spinach, roasted peppers, capers, basil, and dressing in large bowl. Drain pasta; add to bean mixture. Add feta and toss gently.